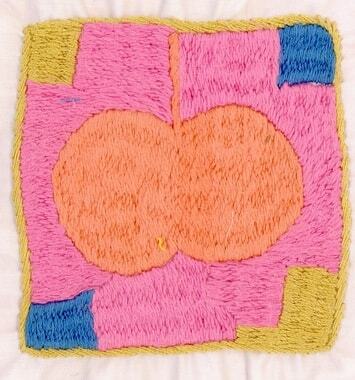 While working with the embroidered squares I keep asking myself questions about the embroiderer: which of her thoughts have entered her work? 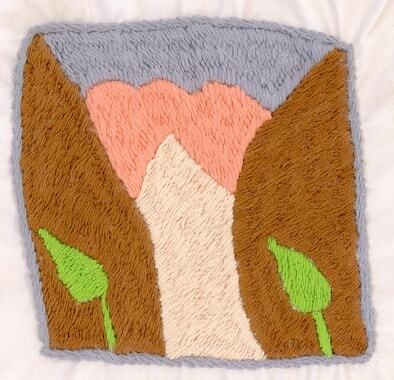 Does embroidering make a welcome change from a difficult everyday routine? Does it do her good? 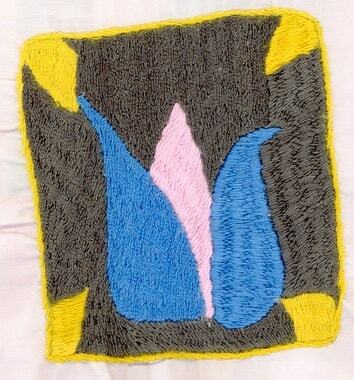 Has she been embroidering on her own or together with other women? Where do her ideas come from? What is her favourite colour? 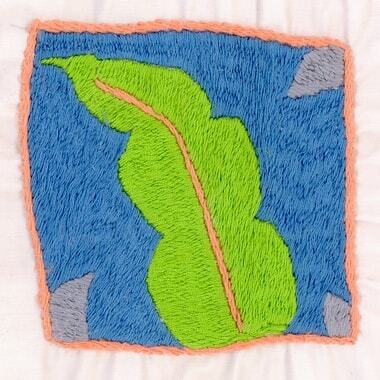 Is she interested to know what is happening to her embroideries, or does she only do it to make a living? 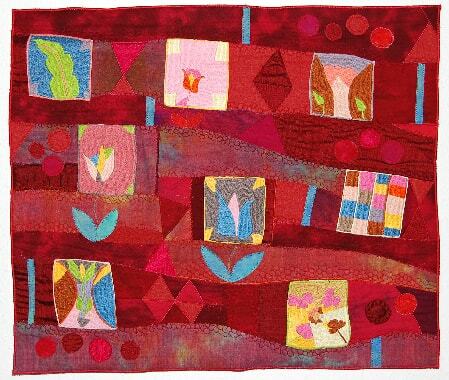 The squares are so colourful and give the impression that she enjoyed working with and combining various threads. 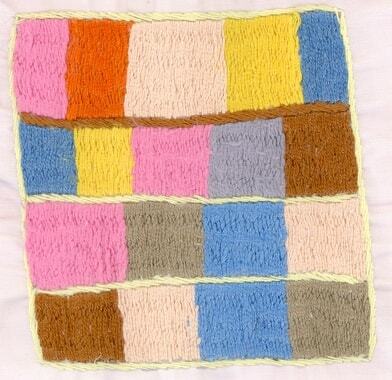 Although most of the squares have geometrical patterns, they seem playful and joyful. 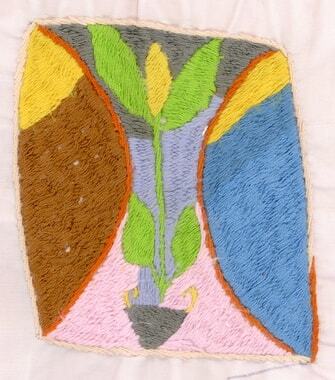 Zibagol embroiders to earn a living for herself and her family. 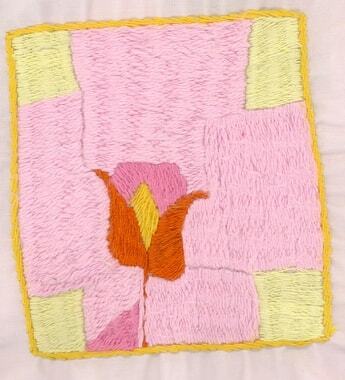 I sew because it is my hobby and I enjoy it. Having a hobby is a great luxury. 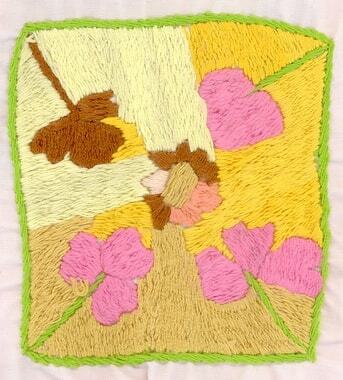 Zibagol works with needle, thread and used fabrics, she does everything by hand. I use a high-tech sewing machine and have an abundance of materials to choose from. My sewing machine, my iron, my work lamp – everything runs on electricity. Zibagol and I have very different living conditions and reasons to work – I love it that we have created something together, a piece of work, a picture in which we both have invested some of our time. Thus a connection has emerged with a woman I have never met.